The good thing about this mountain bike park is that with 14 graded tracks, there are trails to suit most levels. If your family is new to mountain biking, the Wetland Loop is a great trail to start with but there are lots of other routes that would suit riders who are up for the challenge! For the Wetland Loop, you don’t really need a specialised mountain bike – it’s a good place to start to see if it’s something your family might like to do more of. As a rider, you need to be able to use your brakes to control your speed for the downhills and to have mastered steering, so you need a reasonable level of confidence. The Wetland Loop has riders in both directions so it’s a good idea to have a very confident rider going first as the track is narrow in places. It’s also steep in places but never for long and it’s easy enough to hop off and walk uphill if necessary. The only issue with this ride was the lack of markers where tracks crossed over. 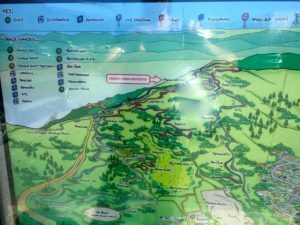 Take a photo of the map in the carpark if you’re worried about staying on the right track or just keep going in the same direction (bearing to the right if you’re going clockwise and to the left if you’re heading anticlockwise). It might take around 20 minutes to navigate your way around this Loop the first time, but you’re likely to be quicker with subsequent rides. There’s also a very challenging bike skills course, a couple of picnic tables and a toilet all near the carpark at the end of Waiu Street. 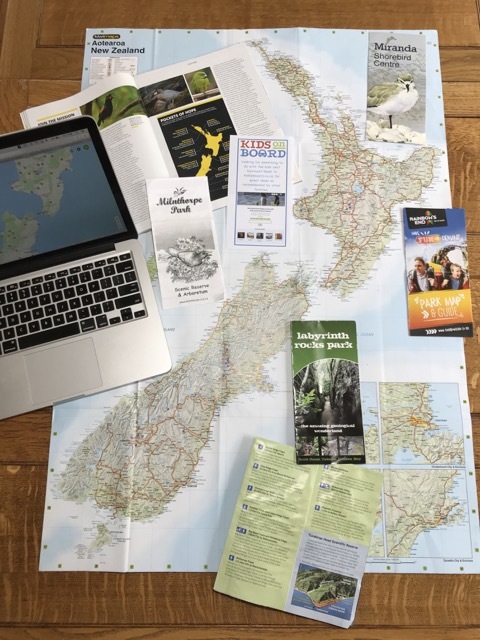 Address: the mountain bike park can be accessed from various points but the carpark, detailed track map, toilet and bike skills park are all closest to the Waiu Street entrance (at the end of the road).